I dedicated to my Wife who cheer me up sometimes to try to make another wall and for all support and advices, and for my dear friend Suzukaseed who is a great waller and i appreciate all dedication and consideration that he puts in triyng to show me some steps ^^ Enjoy you both. I have the psd here but i hope they not needed ^^ enjoy people and i appreciate every comment and favorite, all support is always welcome, thanks. It's very cute, nice job. Like the BG and the colors. very nice. this is going in my wallie rotation for sure :P. the blue and red work nicely with her outfit. 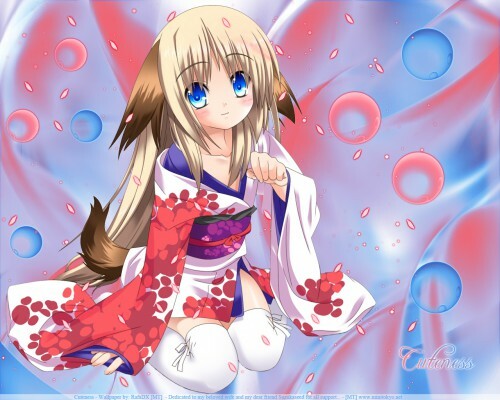 is realy cool girl foxy no is the little busters the game ?